Idaho Welcomes Responsibility For Wolves Idaho has officially gone back to its own wolf management plan. Now that states once again have authority over wolves, the Idaho Fish and Game Commission voted Thursday to adopt its previous plan for managing wolves. Idaho has officially gone back to its own wolf management plan. Now that states once again have authority over wolves, the Idaho Fish and Game Commission voted Thursday to adopt its previous plan for managing wolves. Idaho has had the state wolf management plan on the books since 2002. But as long as wolves were considered an endangered species, the federal government called the shots. Idaho Fish and Game Commission chairman Wayne Wright applauded the bill in Congress that delisted wolves, he hoped, once and for all. Wayne Wright: "It's a great day for Idaho. The salmon are running in the Clearwater. Bin Laden's dead. And wolves are delisted. (Laugher)"
Two environmental lawsuits are challenging the Congressional action that took wolves off the endangered species list. The Idaho Fish and Game Commission voted to oppose those lawsuits. 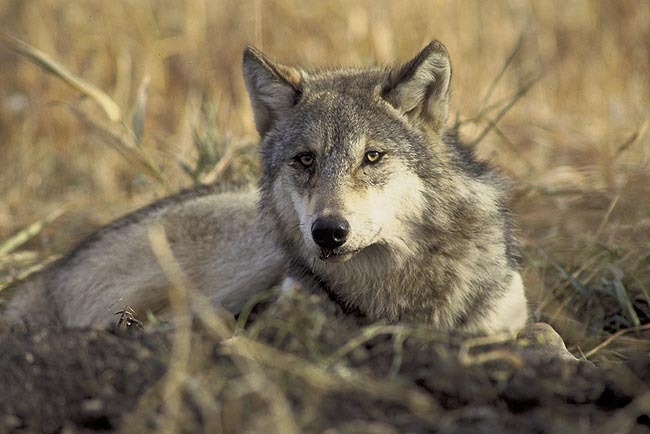 Meanwhile, in Oregon, state wildlife agents have killed a second wolf in the Imnaha pack. The state took lethal action in response to wolves killing livestock on private land.